OctFest returns to Governor's Island next month with beer and music. In addition to his years working in brand management for AB-InBev, Mike also founded North Coast Music Festival, and the Chicago Bluegrass & Blues Festival. 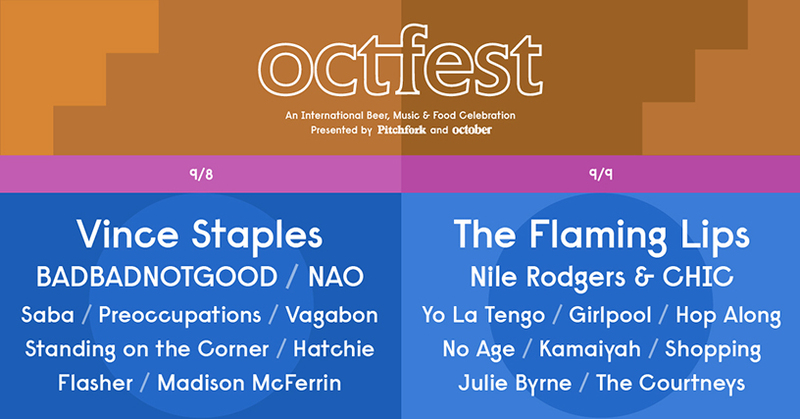 So for Mike, a native Chicagoan, Pitchfork was the obvious partner in creating October, and ultimately Octfest, marrying his deep experience in both fields. Part of the ideology driving the creation of Octfest is to renovate the experience of the festival space. In the festival world, frequently one aspect, either food, beer or music, will be lacking in the shadow of the other’s focus. Great music? Crappy beer. Delicious beer? Overcrowded convention center. It is a long overdue cue from consumers, and the trend towards merging mediums is apparent elsewhere, as evidenced by Brooklyn Brewery’s interactive, yearly installation of Beer Mansion. “This is definitely meant to reinvent what it means to go to a beer festival, a music festival, and a food festival– where you don’t have to sacrifice any of those passions in order to have a high-end, comfortable experience,” says Mike. Octfest sells one ticket level to provide that overall elevated experience. 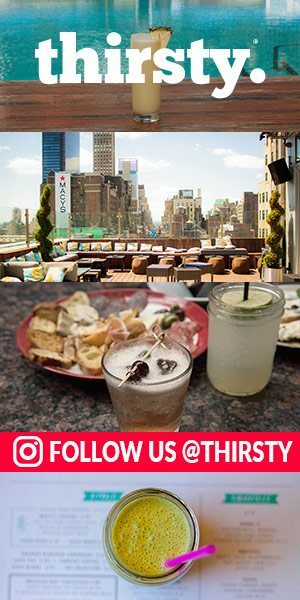 Passes include: lots of beer, access to 2 stages, culinary pairings & food programming from Bon Appétit’s Food Village, and a free ferry ticket to and from Governor’s Island. It is a relief from the consumer side to even have the option to buy a single-day ticket, not compulsory 3-day passes which contradict the ethos behind seeing music in the first place. Once festival goers arrive, there will be plenty of space to sprawl out on the grass and relax in one of NYC’s historic and continuously maintained green spaces. The first album I bought from Pitchfork’s pages was Stephen Malkmus’ “Face The Truth.” I was 18 or 19, and lightly infatuated with the man who recommended it to me. This was in Boston, and during those same impressionable college years my affair with Craft Beer also began. These strongly nostalgic moments are characterized by context, with all the emotional and material details still intact all these years later. I can still smell the spices of that first winter lager, and feel its malty sweetness warm me as I stepped on stale popcorn on the floor to refill my glass. And I still can’t believe I was wearing a Spiderman sweatshirt the first time I met that guy. 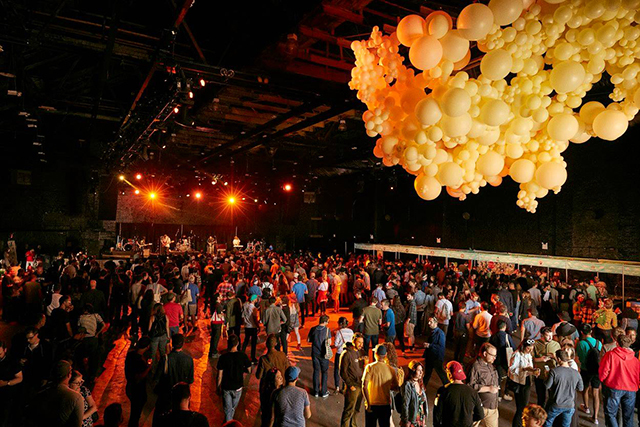 Octfest is a nexus of the three tremendous cultural experiences of beer, food, and music. 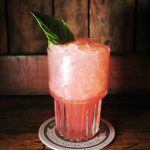 On September 8th and 9th, it will be a welcomed break from the daily chaos to enjoy this unique intersection of artisanship: craft beer, a curated culinary delight, some music I’ve never heard, as well as some circa 2000 feels. 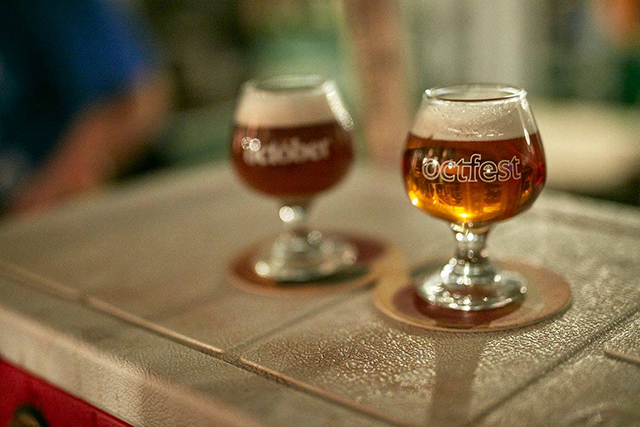 OctFest 2018 is hosting 90 breweries from 20 countries, pouring more than 250 varieties of award-winning craft beer. Breweries in the tents will include many under the ABI Craft portfolio, including international newbies like The Hand and Malt (South Korea), and some Belgian favorites like Brouwerij Bosteels. So why not try your first Tripel Karmeliet? If you find yourself a beer neophyte in the need of some expert advice, Master Cicerones Ryan Daley and Max Bakker will be present to guide you through (and to) yours beers of choice. If you are seeking the seal of independent craft beer, you’re in luck. 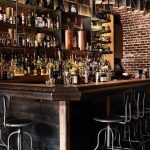 There are plenty of regional and local independent breweries represented to make it feel like home, including Jack’s Abby, Lord Hobo, Sand City, and LIC Beer Project. Warning: some may need to swallow their pride for a day to recognize that Big Beer and independent breweries must coexist. This year’s all-new food program features a Food Village curated by none other than Bon Appétit, featuring quick-serve local staples Sweet Chick and Roberta’s, Oddfellows Ice Cream (let’s hope for beer floats), as well as California-hailing Mission Chinese and KronnerBurger, for the option to pair international cuisine with international brews. I think we all wished we lived in a Food Village. OctFest is also teaming up with Billion Oyster Project (BOP) to help raise money to install and maintain community oyster reefs in New York Harbor, sponsored by Blue Point Brewing. In September, for every pint of Good Reef Ale sold, 5 oysters will be restored into a BOP community oyster reef. Saturday: Vince Staples, BADBADNOTGOOD, NAO, Saba, Preoccupations, Vagabon, Standing on the Corner, Hatchie, Flasher, and Madison McFerrin. Sunday: The Flaming Lips, Nile Rodgers & CHIC, Yo La Tengo, Girlpool, Hop Along, No Age, Kamaiyah, Shopping, Julie Byrne, and The Courtneys. ● On sale now at OctFest.co. ● Passes are $75 for a single day and $140 for the weekend, and include 15 beer samples per day, food pairings, and a round-trip ferry ride. ● For Untappd users, use code UNTAPPD30 for 30% off all Octfest tickets via the app. For more information, including lineup announcements, event news, and updates, please visit Oct.co and follow @Pitchfork and @ReadOctober. October is a project supported by Zx Ventures (a division of Anheuser-Busch InBev), and led by Pitchfork’s Slow Focus Studio (Condé Nast), with geek-trusted Craft Beer blog Good Beer Hunting, and BeerGraphs.